What happened last night? If Rose wants to know the truth, she might finally have to face the terrible secret from her past. Tried to read this a couple of times but couldn't get into it... I think is was just a bit slow or detailed for me. Wow! This is a fabulous psychological drama. It's a real page turner that had me hooked throughout. One of those writers that makes you stay up late and then gives you butterflies when you wake at 0530 because you know it's waiting for you.....or is it just me that has those moments?! 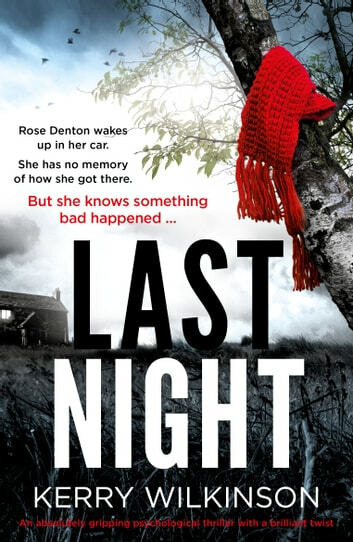 The story begins with a female lead character who wakes up in her car, in a field and with blood on the bonnet and it doesn't let you go as the story advances. 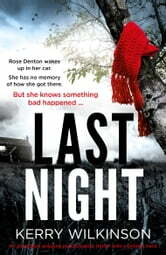 It's a fabulous read that I'd heartily recommend for those who loved early Linwood Barclay and Harlan Coben. It's as good as their earlier books which, in my opinion, were their best. It's a true psychological drama, but, with humour that, at times, made me laugh out loud. The only negative is that I'd worked out the culprit, but, very near the end of the book and it didn't spoil the read. Thanks so much to @netgalley and @bookouture for the opportunity to preview this excellent read.